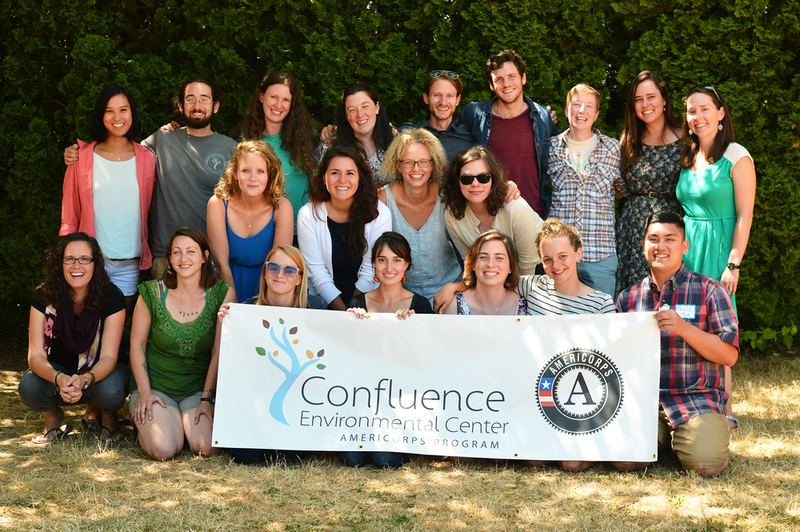 On Friday July 24th we had the honor of celebrating our 2014-15 Confluence AmeriCorps Members and their Supervisors at our Commencement ceremony. It was a gorgeously sunny day. We laid out blankets on the drought-baked grass and enjoyed chilled lemon cucumber water and home made desserts. Tom Lamar, Executive Director of PCEI offered some words of encouragement to our honorees before each Member was welcomed up to receive their AmeriCorps certificates for successfully completing a full Term of Service.